Colorado isn’t the first state you probably think of as a center for the blues. Perhaps that outsider status is what allows Otis Taylor to construct his own framework of the genre. Taylor, who currently resides in Boulder, has worked out of Colorado for years. Though he took a hiatus from music making in 1977 to deal in antiques, he began playing again in 1995 and released the acclaimed album Blue-Eyed Monster in 1997. Taylor’s style has never been orthodox, nor has it adhered to a site-specific sound such as Delta blues, Memphis blues, or Chicago blues, yet he’s incorporated elements of each in the past. His latest release, Recapturing the Banjo, maps similar outsider space, although this time it’s more historical than spatial. Recapturing the Banjo is undoubtedly Taylor’s project, but more accurately he leads a dream team of contemporary blues musicians, each with strong affiliations to traditional forms. Guy Davis, Corey Harris, Alvin Youngblood Hart, Keb’ Mo’, and Don Vappie all contribute substantially through combinations of picking, singing, and songwriting. The roster of musicians and their diverse contributions render the idea of a uniform “black” way to play the banjo dead on arrival. 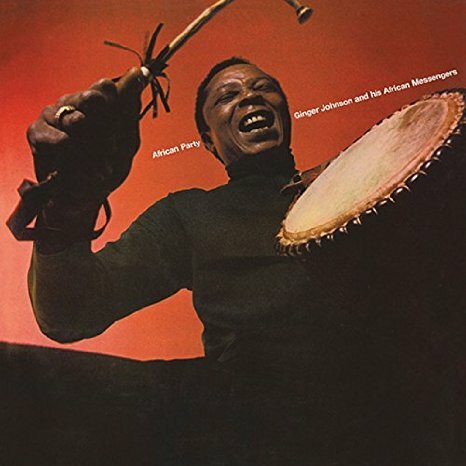 Though there is much to learn here (the liner notes are complete with a bibliography and discography providing a more detailed history of black banjo music), the sound and feel of the music is anything but academic. Taylor refuses to substitute pedagogy for groove, and the album cranks along with a blend of old-time rollicking tunes and swampy electric guitar blues accented by the ever-present banjo. Taylor’s iconoclastic style is on full display here and it’s a shame he isn’t better known outside of blues circles, since his taste is so wide-ranging, never solidly fitting into genre categories, but always negotiating between them. Editor’s note: Smithsonian Folkways has received many requests from radio stations for re-servicing Black Banjo Songsters so they can pair it up with Otis Taylor’s CD on their respective radio shows. We thought we’d do the same, just in case you missed this CD when it was originally released back in 1998. 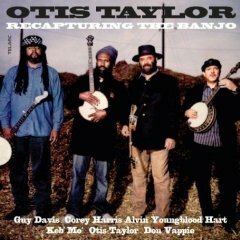 Otis Taylor’s recent release, Recapturing the Banjo, is not only an album, but a statement of musical lineage. And if the banjo is to be “recaptured,” it must be asked who is doing the recapturing: blues players or black players? The banjo has a clear history traceable to Africa via slaves in the American South back through the Middle Passage. Long before anyone heard the lighting-fast, three-finger picking of Earl Scruggs, black musicians had already developed styles of banjo playing quite different from Scruggs speedy arpeggios. There are more recordings of these early banjo styles than most casual listeners might suspect. One of the seminal collections is the venerable Smithsonian Folkways 1998 release Black Banjo Songsters, which collects thirty-two recordings of banjo songs from North Carolina and Virginia. Most of these songs were recorded in the 1970s or later, and mostly by musicians in the waning years of life. This led to the common conclusion that banjo music in black communities was a dying art form. Whether or not the tradition was dying is irrelevant at this point, because it’s clearly not dead. If we were to allow the commercial recording industry to proclaim what is alive and what is dead, we’d be privy only to a thin slice of the various music that continues to thrive outside the umbrella of commercial acceptance. In many ways this is the principle that has led Smithsonian Folkways to its unparalled success. The songs on Black Banjo Songsters are anything but commercial and would most likely be of little interest to those who are unaccustomed to the rough hewn sound of field recordings, where pitch correction and over-dubbing are foreign concepts. Black Banjo Songsters is something of an educational project, shedding light on the various aspects of black banjo stylings including percussive claw hammer style as well as the two-fingers, up-picking “complementing” style. 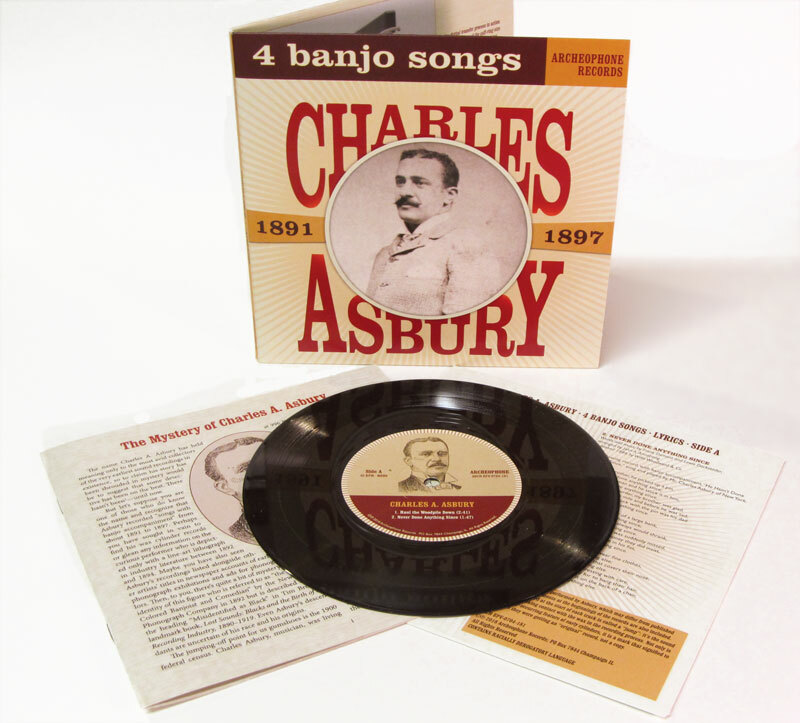 The extensive liner notes by banjo scholar Cece Conway and Scott Odell detail the specifics of these different styles. The collection gives credibility to the diversity of approaches by black players. Just as white players such as Roscoe Holcomb, Earl Scruggs and Bela Fleck found individual sounds with the instrument, familiar songs such as “Coo Coo,” “John Henry,” and “Old Corn Liquor” get individual treatment by lesser known players such as Dink Roberts, Odell Thompson, and John Snipes. But the education aside, the music is rich and welcoming, showcasing first class talent, many of whom were never offered recording gigs because they didn’t play the one of two genres that fit neatly on “race records.” Most importantly, it reminds us of what is lost when the missing piece of the puzzle goes unnoticed for too long. “Iconoclastic filmmaker John Sayles, in his 16th feature film, continues his extraordinary examination of the complexities and shifting identities of American sub-cultures in the new film Honeydripper. With his usual understated intelligence, Sayles uses the rhythms of the citizens of Harmony, Alabama to immerse the audience into the world of the Jim Crow south. It’s a fable about the birth of rock n’ roll- a quintessentially American subject, but with a fidelity to time and temperament that is unusual in an American director. In the juicy role of Bertha Mae Spivey is none other than Dr. Mable John, the former Stax recording artist and onetime leader of the Raelettes (Ray Charles’ back-up group). Metalmouth Sims is played by Mississippi born harmonica player Arthur Lee Williams, who cut his teeth in Chicago and went on to play with Muddy Waters, Elmore James and Eddie Taylor. Blues guitarist Keb Mo, whose 2006 album Suitcase was a break out hit, also makes his film debut in the role of Possum. 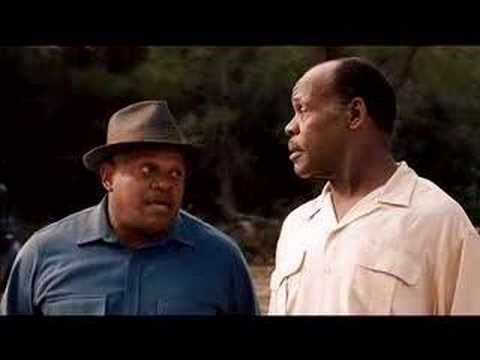 Tenor saxophonist Eddie Shaw, who has performed with Hound Dog Taylor, Otis Rush, Muddy Waters, and Howlin’ Wolf, also has a cameo role as Time Trenier. WOW, indeed! I must remember to call the local theater and push to get this gem in the queue a.s.a.p. For more information, visit the film’s official website. 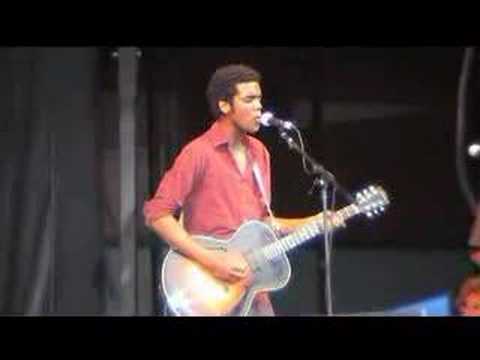 As for Gary Clark Jr., his latest release, Tribute, is apparently only available via his website and CD Baby. I predict that will change mighty fast. A fourth CD is said to be in the works and will presumably be picked up by a major label. “Chasin’ Gus’ Ghost is a documentary film on the history of Jug Band Music. It traces the roots of American music beginning with Gus Cannon and Cannon’s Jug Stompers, The Memphis Jug Band and the Dixieland Jug Blowers from the 1920’s, and weaves a tapestry through interviews, live performances, archival footage, and photographs showing their influence on the ever-popular folk and rock movements of the 1960s. 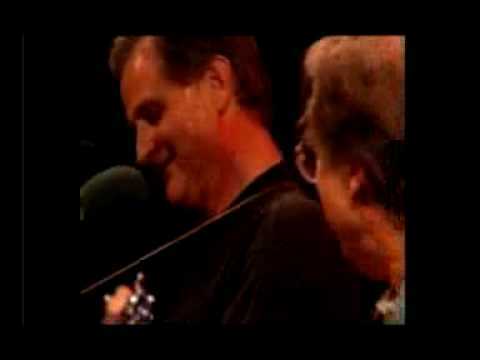 The movie is written and directed by independent filmmaker Todd Kwait, and includes interviews and live performances by John Sebastian from the Lovin’ Spoonful, Jim Kweskin, Geoff Muldaur, Bill Keith, Maria Muldaur, and the late Fritz Richmond from the influential Jim Kweskin Jug Band, Bob Weir from the Grateful Dead, Charlie Musselwhite, Paul Rishell and Annie Raines, plus many more artists who were influenced by the great jug band musicians from our past. The opening clip on the trailer begins, appropriately enough, with a handcranked phonograph playing a 78 rpm record of “Viola Lee Blues” by Cannon’s Jug Stompers, written by band member Noah Lewis and recorded for the Victor label ca. 1929. This song actually served as the catalyst for Kwait’s journey into the history of jug band music. Kwait was a huge fan of John Sebastian, leader of the ‘60s folk-rock band the Lovin’ Spoonful. Sebastian had actually started his career in the Even Dozen Jug Band during the peak of the folk revival scene. Those of you familiar with the Lovin’ Spoonful’s hit song from 1965, “Do You Believe in Magic,” might recall this reference in the second verse: “If you believe in magic, don’t bother to choose/ If it’s jug band music or rhythm and blues.” Obviously old time music was Sebastian’s first love, and in the late ‘90s he formed John Sebastian and the J Band. Their 1999 album Chasin’ Gus Ghost featured an arrangement of “Viola Lee Blues,” along with several other Gus Cannon and Noah Lewis songs (and obviously inspired the title of this film). After attending a performance of the J Band in the late ‘90s, Kwait realized that he knew next to nothing about jug band music. Further exploration revealed that the Grateful Dead’s Bob Weir and Jerry Garcia had performed as Mother McCree and the Uptown Jug Band Champions in 1964, which eventually morphed into the Grateful Dead. As any Deadhead is sure to know, “Viola Lee Blues” was also performed extensively by the Grateful Dead between 1966-70. Kwait began to wonder, just what is this jug band music, and where did it come from? Not finding the answers readily available, he began his six year quest. Through the assistance of John Sebastian, Bob Weir, Charlie Musselwhite, Geoff Muldaur, historian Samuel Charters, and especially Fritz Richmond (a member of the seminal Jim Kweskin Jug Band), the history of jug band music has now been explored for the first time on film. Though much time is spent chronicling the revival of jug band music by white artists in the 1960s, as well as contemporary performances in both the U.S. and Japan (the Japanese jug bands are hysterically funny), its African American origins are certainly not overlooked. Another place where the music took hold was Memphis, Tennessee, where the jug bands were more firmly rooted in country blues and earlier African-American traditions. The two most celebrated Memphis groups were Gus Cannon’s Jug Stompers and Will Shade’s Memphis Jug Band, but it is Cannon who was most revered by the sixties folk musicians and who receives most of the attention in the film, due to his extraordinary technique on the banjo and jug, which he fastened around his neck like a racked harmonica. Interestingly, the first half of the film features Taj Mahal as the voice of Gus Cannon (Cannon himself died in 1979 at the age of 104). According to Kwait, Taj’s narration is based on actual Cannon quotes, lending a degree of authenticity to the scenes. Also profiled is band member Noah Lewis. Reverently called “the Robert Johnson of harp players” by Bob Weir, Lewis was known for his ability to play two harmonicas at once, using both mouth and nose. Between 1927-1930, Cannon’s Jug Stompers recorded 24 songs for Victor (several were penned by Lewis), featuring some of the best jug band music ever released. Notable tracks include “Minglewood Blues” (covered by both the Grateful Dead and Sebastian’s J Band), “Viola Lee Blues,” “Mule Get Up in the Alley,” and “Walk Right In.” The latter was a huge hit for the Rooftop Singers in 1963, which led to Cannon’s rediscovery by Sam Charters. 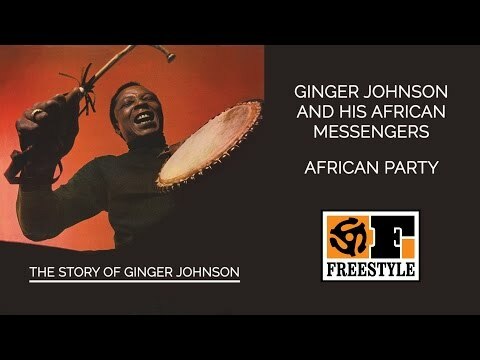 Stax arranged a recording session for the 79-year-old Cannon in 1963 (he was living in the neighborhood at the time), and amazingly Will Shade and Milton Roby were still around to back him on jug and washboard, respectively. Only 500 copies of the LP were pressed by Stax under the title Walk Right In, but it has since been reissued by Fantasy on CD. Towards the end of the film, after considerable focus on Sebastian and the appropriation of jug band music by white folk musicians and Japanese enthusiasts, I began to wonder if any African American groups were participating in the revival of the tradition. Kwait obviously anticipated this question, for almost immediately the focus of the film shifted to the Sankofa Strings (otherwise known as the Carolina Chocolate Drops, featured in the Oct. 2006 issue of Black Grooves). Sule Greg Wilson, Sankofa’s spokeman, explained that most African American musicians consider jug band music to be too old fashioned, too pre-blues, and too connected to the days of medicine and minstrel shows. But the Sankofa Strings/Carolina Chocolate Drops are doing much to promote this distinctive African American music genre, and are seen in the film teaching school kids to play the washboard and other jug band instruments. I look forward to future CD releases by this group, and am excited that immediately following the film people were already talking about bringing the Chocolate Drops to town. Kwait is still looking for a distributer for the film, so don’t expect a DVD release anytime soon. If you’re lucky you might be able to catch Chasin’ Gus’ Ghost at a film festival or arrange for a local screening. 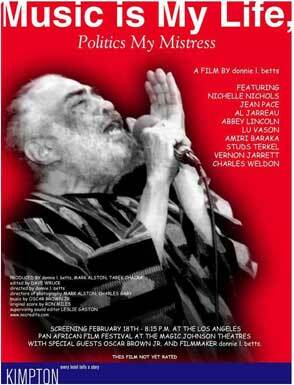 The official world premiere was October 13th, 2007, at the Woodstock Film Festival, though there seems to have been an August preview at the Jug Band Extravaganza in San Francisco, and a January screening is scheduled at the Old Town School of Folk Music in Chicago. It’s a great documentary, all the more amazing since it represents Kwait’s first foray into film making. I encourage everyone to get the word out- let’s get this film into distribution! Chasin’ Gus’ Ghost, John Sebastian And The J-Band (1999 Hollywood Records). Features Yank Rachell, one of the original jug band pioneers and master of the bluegrass mandolin, who performed frequently throughout southern Indiana prior to his death in Indianapolis in 1997. [i] National Jug Band Jubilee website. Until the recent establishment of the annual National Jug Band Jubilee, Louisville had all but forgotten its role in the jug band tradition.